ArcGIS 9.1 users can evaluate and install the Data Interoperability extension right from their ArcGIS Desktop product. The next major release of ArcGISArcGIS 9.1is being readied for release this spring. 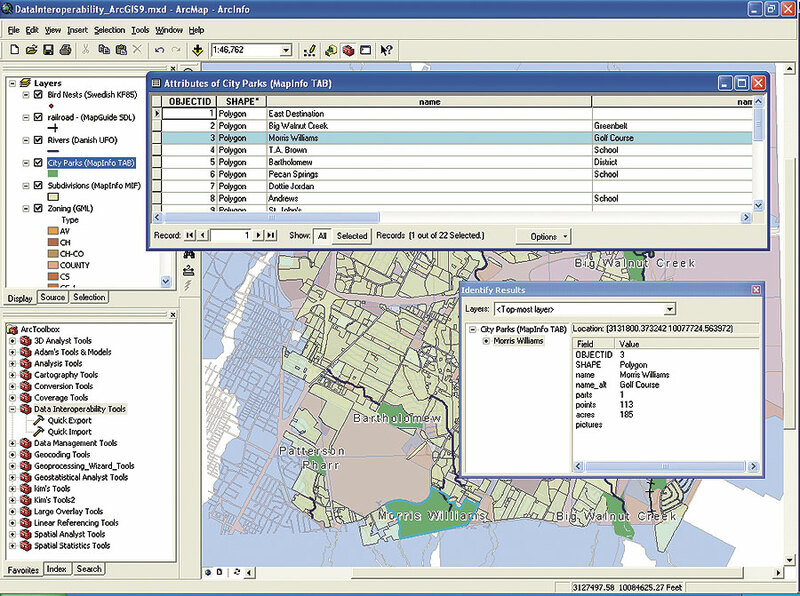 It represents a full release of ArcGIS Desktop (ArcReader, ArcView, ArcEditor, and ArcInfo), ArcGIS Engine, ArcGIS Server, ArcIMS, and ArcSDE. Also, with the release of ArcGIS 9.1, Esri is integrating the functionality and data of several ArcGIS extensions into the ArcGIS Desktop products (see table below). All ArcGIS Desktop users who are current on their maintenance will automatically receive ArcGIS 9.1. Users in the United States who are not current on maintenance should contact Esri at 1-800-447-9778. Outside the United States, contact your local Esri distributor. 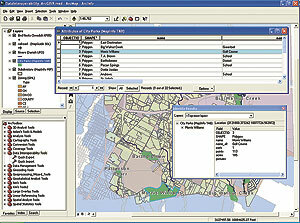 For more information about ArcGIS, visit www.esri.com/arcgis.